This piece from GLACIER BAY has an all-around look that works well with many bathroom styles. Give your bathroom a brand new look in no time with this single-control faucet. This item's deck mounted design completes your bathroom with quick and easy set up. This faucet is WaterSense certified so it uses less water and energy. This new piece from GLACIER BAY brings fresh water fast and adds a stylish look to any bathroom. If you want to renew the look of your bathroom, this dual-control faucet is perfect. Its deck mounted design can be set up with ease on your counter top. This faucet is WaterSense certified so you use less water to get clean and help the environment. Update the look of your bathroom with this high-class, useful piece from GLACIER BAY. This dual-control faucet adds a classy look to any bathroom project. This item's deck mounted design is easy to set up so you can enjoy a finished counter top. This WaterSense certified faucet saves water and money, but gives you the same clean. This Dorset high-arc chrome faucet from Glacier Bay features a sleek and contemporary design that complements a wide variety of decor styles. WaterSense certified, this faucet has a 1.2 GPM water flow rate to help conserve water and ceramic valves to prevent drips. The 2-handle design and high-arc spout provide easy use and access, while the 1/2-inch connection size and deck-plate mount allow for easy installation. This faucet features the Glacier Bay exclusive ClickInstall drain assembly for quick and simple installation. Pair with other pieces from the Dorset collection for a complete and polished look throughout your bathroom..
Nolita Centerset (4-inch) 1-Handle Mid Arc Bathroom Faucet in Chrome with Lever Handle This piece from GLACIER BAY has an all-around look that works well with many bathroom styles. Give your bathroom a brand new look in no time with this single-control faucet. This item's deck mounted design completes your bathroom with quick and easy set up. This faucet is WaterSense certified so it uses less water and energy. 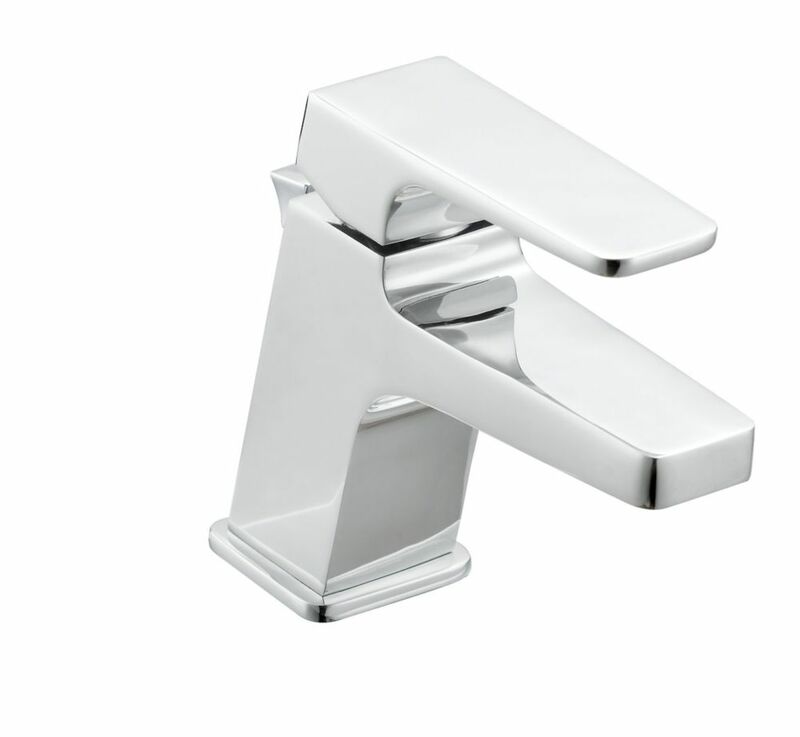 Nolita Centerset (4-inch) 1-Handle Mid Arc Bathroom Faucet in Chrome with Lever Handle is rated 2.0 out of 5 by 1. After installation, the handle is leaking, according to the troubleshooting it comes from loosing bonnet nut, how can I tight it.